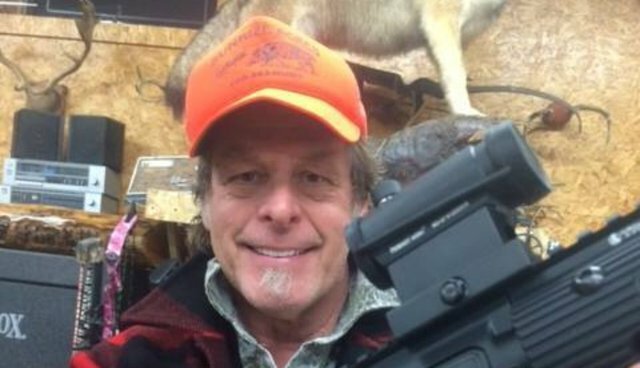 Aging rock star Ted Nugent has come to the defense of fellow rocker Kid Rock, who was recently panned for killing a cougar. 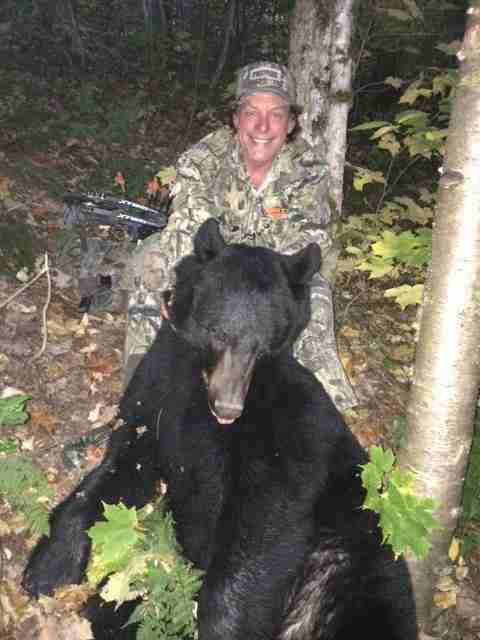 Nugent posted photos of Kid Rock's kill in early January - and then upped the ante with his own big-game hunting photos. 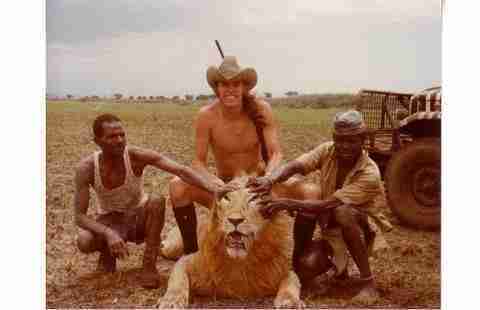 One appears to show a young Nugent posing over the carcass of an African lion, a species the U.S. Fish and Wildlife Service recently suggested should be listed as "threatened" under the Endangered Species Act. CELEBRATE how lions thrive in areas where they are valued/hunted as precious renewable resources & hunters pay massive Gob$ of money to pay for game departments & gamewardens to ensure their thriving balanced truly proteced/managed condition. Not to be confused with the evil lies of animalrights freaks who have never saved or protected or paid for jackshit! CongratSalute lion hunters everywhere. We who truly care SALUTE you for your honest conservation values & honesty & success. We guarantee thriving game populations by hunting them. Go figure. 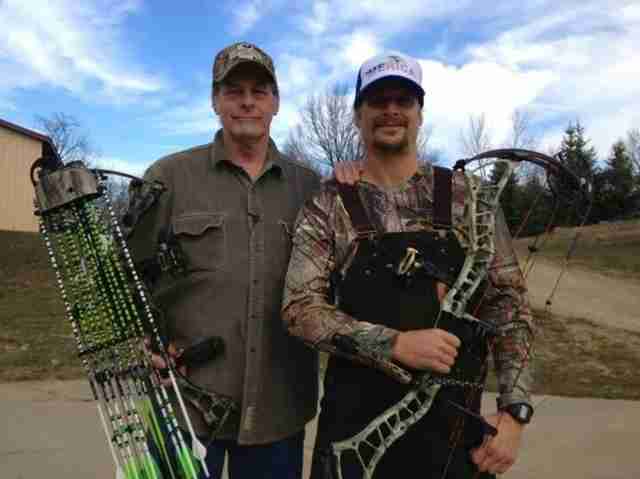 Nugent has defended his recent cougar hunting trip with Kid Rock: "Praise the mighty life giving renewable protein/sport/trophy/FUN!" PETA responded to the incident in a statement to The Huffington Post: "It's obvious that not everyone has evolved mentally and emotionally when you see someone grinning after gunning down another living being who was busy minding his or her own business and living life." Kid Rock has previously butted heads with PETA over his fur coats and performing at SeaWorld in Florida. I'm stymied to come up with anything funnier than people who think animals have rights. Just stick an arrow through their lungs. 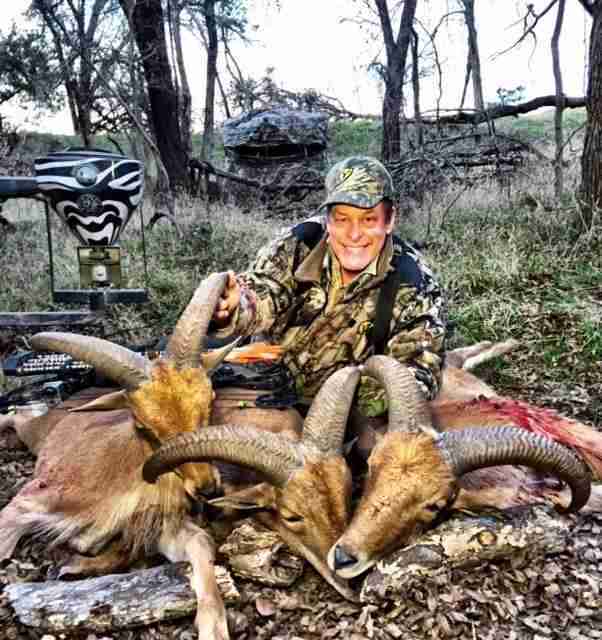 Other photos on Nugent's Facebook page show friends and fans posing with other rare and threatened animals like moose, bears, a hippopotamus, a female lion, a wolf and a rare albino deer. 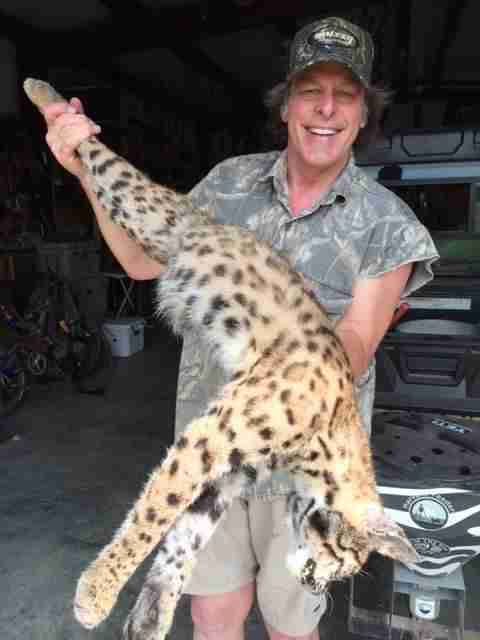 Below are some visual examples of why Nugent is the worst. And just in case you need more convincing, the presumed benefits, like funding for conservation, of trophy hunting have been called into question recently - and vehemently denied when a safari club in Texas auctioned off the chance to kill an endangered black rhino. Many conservationists say that not only does trophy hunting often harm wild populations, but that encouraging the killing of rare species hurts their long-term survival.